Beautifully nestled in a prime Northwest Ferndale location, this classic 1930 home is an easy walk to all the shops, restaurants, and festivals of downtown Ferndale. The enclosed front porch awaits coffee and waves to friends as they walk by. The living room and dining room are bright, wonderful spaces with original oak wood floors, and contemporary fixtures and updated fireplace. The bath has been renovated with subway tile and a period correct look. The kitchen has stainless steel appliances, lots of cupboards, and awaits your ideas. The deck extends the living space far into the yard. The driveway and garage are newer as is the roof in 2018. There is central air. 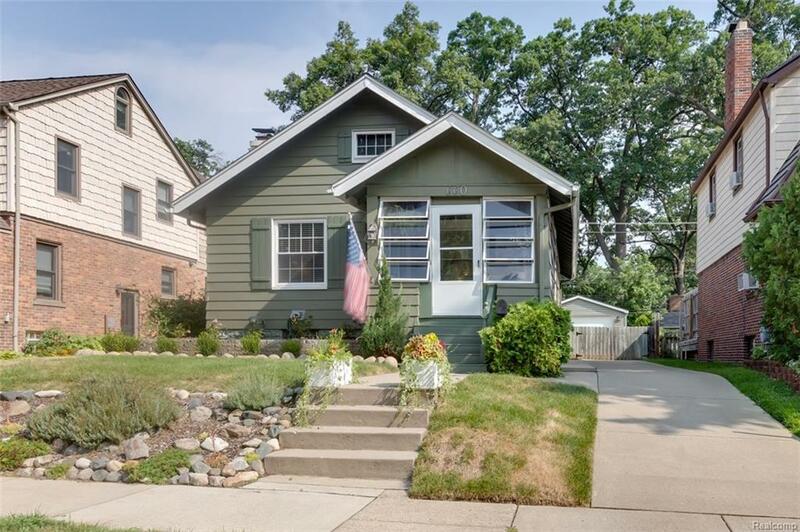 This is a great vintage Ferndale home. Make Home Here!